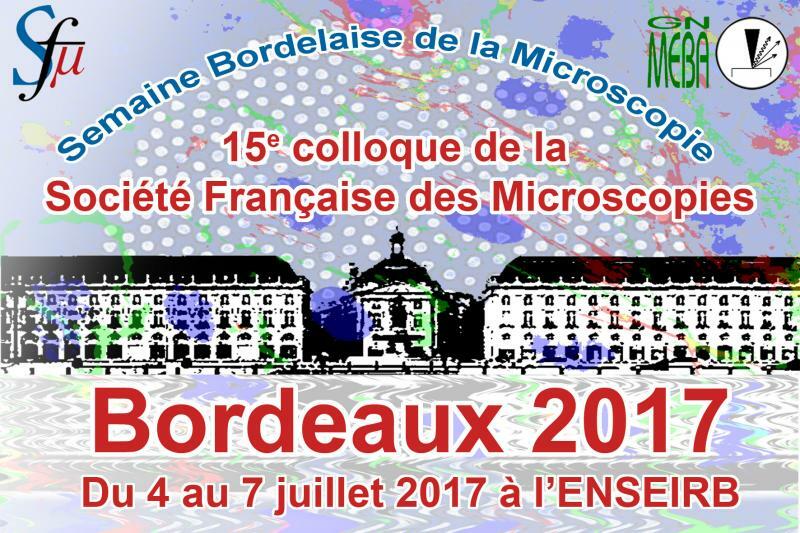 The 15th meeting of the French Society of Microscopy will be held in Bordeaux (July 4 to 7, 2017), 30 years after the 1987 symposium. The congress will take place at the Bordeaux-INP ENSEIRB-Matméca engineering school in Talence. This congress aims to bring together a large community of scientists around the subject of electron microscopy, optical and near field microscopy and vibrational imaging. The scientific committee has built an attractive program with 15 sessions covering applications and developments in life science, materials science, instrumentation and methods. The symposiums and the parallel sessions Materials and Biology will make it possible to make a point in particular on the advances in the fields of the characterization of materials at different scales, soft matter, superresolution, high resolution cryomicroscopy, correlative microscopy .... In addition, in partnership with the GN-MEBA summer school, state-of-the-art microscopes may even be available during the congress period. 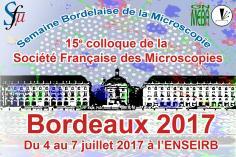 Please visit the congress website http://sfmu-bordeaux2017.fr/ to get all information regarding this scientific manifestation and social events.